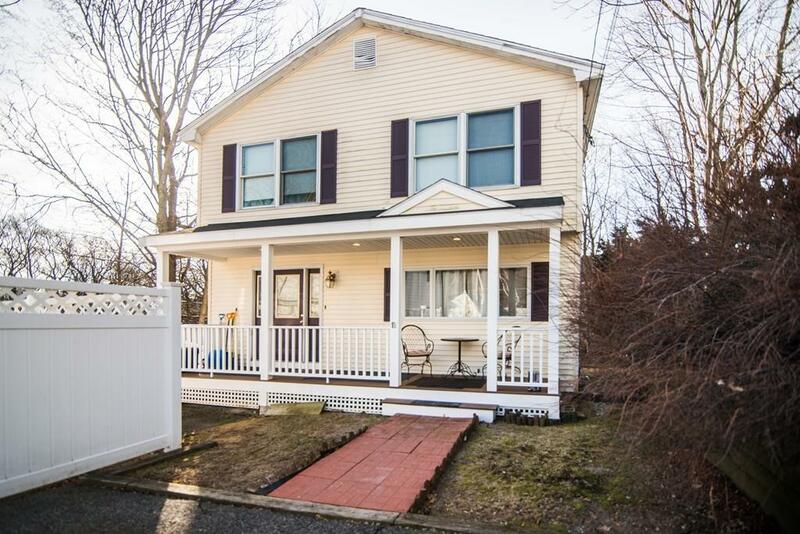 Lovely newer colonial in desirable Maplewood highland area. This spacious home features a sliding door out to a large sun-filled deck. New gourmet kitchen, with granite counter tops, ample custom-built cherry cabinets, and stainless steel appliances--including gorgeous double wall ovens, and a five burner gas cook top. Sparkling oak hardwood flooring throughout the open-concept first floor. Finished lower level is perfect for use as a teen, au pier, or extended family suite; and features a large family room, office, full bath, and a small bistro area equipped with a full-sized fridge. The second floor features three large bedrooms, --master offers his and hers walk-in closets, and in winter, breathtaking views of the Boston skyline. Bathroom is over-sized and awaits your personal touches. New pella tilt-in windows throughout. Enjoy your morning coffee on the brand new covered farmers porch which features recessed lighting, trex decking; and views of candlestick mountain.